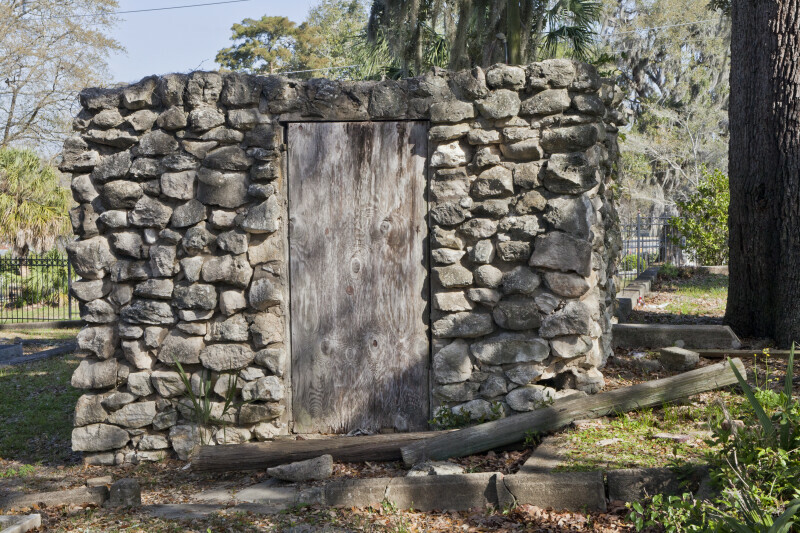 This rough masonry building has a plain, wooden door. This is likely to be some sort of utility shed. WARNING: You are about to download a 42.4 MB TIFF!